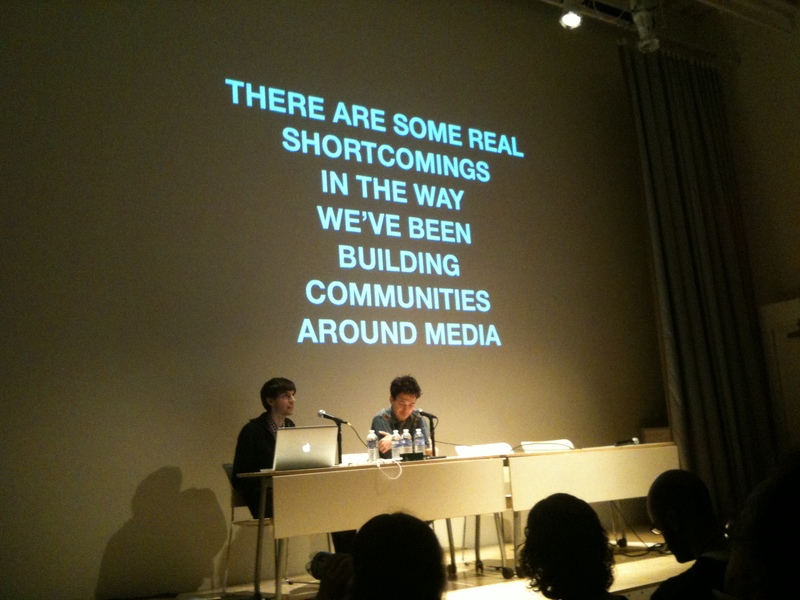 David Karp (Tumblr) and artist Ryan Trecartin at Seven on Seven 2010. Image credit: Renny Gleeson. Hot on the heels of Mayor Bloomberg's assertion that London, not Silicon Valley, is New York City's biggest tech competitor (we'd like to think ally is the more appropriate word), the city seems a natural fit for the event's first international foray. In its new location, Seven on Seven's underlying goal remains the same: to bring criticality and thought to the development of technology in culture, and promote further dialogue between the two contexts. Tickets available from £35 on the Barbican's website.